What to do after you have been in a car accident? INJURIES: Have you been injured? What about any other drivers, passengers or pedestrians? The most important thing to do in the aftermath of a collision is to determine the extent of injuries. If the car accident was a minor fender bender, there may not be a need for emergency intervention. But it is always safer to err on the side of caution and call for an ambulance if you are unsure. POLICE: Call the police if your first call was to 911 for an ambulance. The police will have to advise on whether it is required to move the vehicles out of the way of moving traffic. It is also a procedure for an officer to come by and take statements from the drivers and passengers. It is important that you recall everything that happened, tell the truth and don’t miss anything out. If you fail to disclose to the police something that you later try to rely on with your insurance company, you will run into problems. The insurers can deny coverage or move full liability to you. SNAP! It’s a sensible idea to take pictures of any damage at the scene of the accident. These are useful for you to pass onto your insurance company if you decide to make a claim. EXCHANGE INFORMATION: Make sure that you and the other drivers exchange information for insurance purposes. Also, if the other driver gave you an insurance I.D., you should be sure to check the date to make sure that it is still valid! Get the police officers details too. 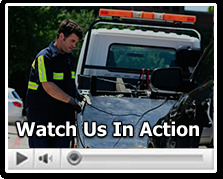 CALL DELTA TOWING: If you need to remove your vehicle and want to have Delta Towing Fort Worth assess the damage, price it up, and take you away from the roadside, call us for 24-hour attention. We will be with you within a fast response time of your call. This is helpful in order for you to quickly be able to decide if it is financially worthwhile to make an insurance claim or pay out of your own pocket to avoid paying an excess fee that may exceed removal and repair costs.